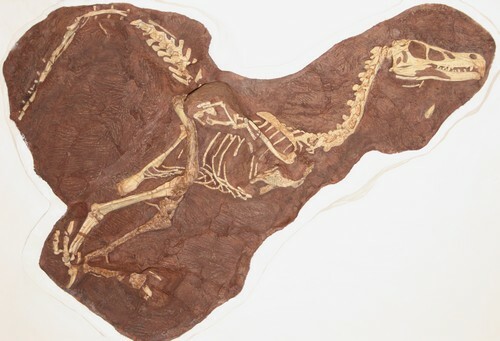 Palaeontologists have found a near complete skeleton of a new member of the bird-like dinosaur family Dromaeosauridae, reports the latest issue of the journal Zootaxa. It is hoped this species from Inner Mongolia, which is a close relative of the popularly known Velociraptor, will shed light on the physical appearance of other members of its family. The dinosaur, which has been named Linheraptor exquisitus, was discovered by George Washington University doctoral candidate Jonah Choiniere, and University College London graduate Michael D. Pittman, in 2008. “I only saw the tip of the claw sticking out of a cliff face, and it was a total surprise that the whole skeleton was buried deeper in the rock,” said Choiniere. 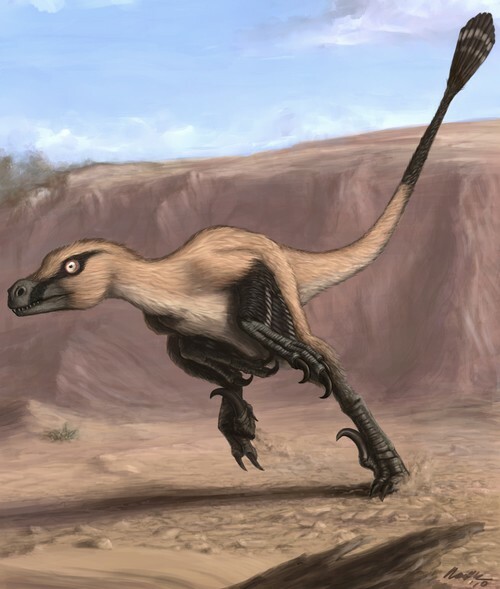 The researchers believe that Linheraptor, which was about eight feet long, was most likely an agile predator, which used the curved claws of its feet to ensnare its prey. The find was unearthed in 2008, among red sandstone beds which were deposited in the late cretaceous, 75 million years ago. Linheraptor will be the fifth dromaeosaurid to be found hidden within these rocks, which are noted for their exceptional preservation potential. “This is a really beautiful fossil and it documents a transitional stage in dromaeosaurid evolution,” said Xu Xing, who is heading the study at the Chinese Academy of Sciences’ Institute of Vertebrate Paleontology and Paleoanthropology.